Skin Clinic Facts: Why Do You Really Need to Get Monthly Facials? Ever wondered why many women clear a portion of their day for a facial appointment? It turns out getting monthly facials is more than just an excuse to hang out with your gal pals at the day spa. As a matter of fact, professional skin therapists in a Sydney skin clinic like Detail Woman can help you understand exactly how your skin works under stress as it is exposed to different elements and hormones. With your newfound knowledge, you can take better care of your skin. Here are more reasons for you to get on the bandwagon and schedule monthly facial treatments. Another trend that blew last year’s ombre out of the water is the more natural shade of brown just at the fringes of the hair. Deep hues like ash-brown, chocolate, and hazelnut tones are perfect for both fair and olive skin. On the other hand, golden brown shades can be a great colour idea for natural brunettes. Take the examples of Olivia Wilde, Katie Holmes, and Keira Knightley who are all currently flaunting long locks of brown hair. This year’s new trends are leaning over a bit on the natural side and well away from the bright colours of the past year. 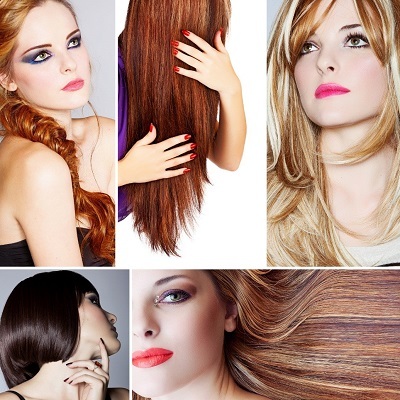 The best hair salons in Sydney like Detail Woman can help you figure out which trend would look best on you. If fashion is art, then you are the canvas. The way you dress, do your make up and style your hair is a medium of self-expression. Fashion serves as an extension of your character so Sydney ladies should never be afraid to express what makes them strange or quirky, even if it means having to stand out from the crowd. A new hair color can say a lot about your personality. Dyeing your hair in bright, crazy colors may seem too bold or daring, but then again, so what? It’s a fun fashion risk that many women are trying nowadays and the best Sydney hairdresser can help you emulate this zany trend that’s spotted in city streets, on red carpets and on fashion runaways. Wrinkles are the ultimate signs of aging. Even the most gorgeous Sydney women dread the day when the creases and crows’ feet begin to pervade the landscape of their face. Aging is inevitable, and while you can never stop yourself from getting older there are things you can do to fight aging signs, or at least still look beautiful with the inexorable marks of age. One of the most obvious but overlooked ways to care for one’s skin is to eat a balanced diet. You are what you eat, and Sydney skin clinic professionals all agree that to achieve that much-desired unblemished skin is to avoid eating junk and instead opt for healthy foods containing necessary oils, vitamins, and minerals. Short hair is fun, breezy and undeniably more manageable than longer hairstyles but some Sydney women might have doubts about making the switch. Chopping off one’s locks in one go might seem too drastic a change, while others may feel that a shorter hairstyle can make you look too boyish or drab. The truth is, those who are considering cutting inches off their hair have no reason to fret. There are plenty of hairstyles that strike a balance between feminine and fun: one only has to look at the short, glam bobs that the hottest celebs are wearing right now. Bobs are a trend in Hollywood this year, and the best hair salon in Sydney can help you emulate the fashionable new ‘dos sported by these young, gorgeous female A-listers. Countless A-list celebrities are joining in on the pixie cut craze, but longer hairstyles are still desired by many ladies all over the world, including Sydney’s fashionable women. Lush, lustrous hair is the ultimate symbol of femininity, and hairstyles sporting that extra body and volume will never go out of style. Unfortunately, it takes quite a bit of time and effort to achieve full-bodied, longer hair; a true dilemma for those who want to sport a brand new look for an upcoming stylish event. Short-haired girls who are considering making the switch may want to try authentic Sydney hair extensions. It’s a great way to add volume to otherwise thin, fine hair, as well as update your look without having to wait for your hair to grow. The thought of wearing false hair may make some women feel uncertain about trying hair extensions, but rest assured, the right extensions make them practically indistinguishable from real hair.